Sales is a tale as old as time. Many managers will tell you sales is a numbers game. The more calls you make, the more people you can contact and the more chance there is for a sale. Throughout the years, this numbers game hasn’t changed; however, the way sales reps can go about achieving these numbers has. Many sales managers will tell you it can be discouraging and redundant for their reps to leave the same voicemail 60 to 80 times per day, five days per week. At the end of last year we partnered with DialSource in an effort to better improve our efficiencies and effectiveness with our daily calls and activities. Since inception, our sales team has seen their hourly calls go from 10-15 to now more than 20. One of the features of DialSource that our team was most excited about was the ability for our staff to use a pre-recorded voicemail instead of leaving the same message multiple times per day. We decided to get creative by enlisting our women’s softball head coach Amanda Lehotak by having her pre-record a voicemail for our staff to use as their voice message to enhance the chance for a return call from our softball donors, season tickets holders and fans. During a recent weekly “Synergy” meeting where members of the softball marketing, operations and ticketing staffs discussed ways to fill Beard Field this season, Coach Lehotak asked how she could help. We explained to her what DialSource was and asked her to pre-record two voicemails for the staff to use. Coach Lehotak jumped on the opportunity and came by our offices to record two voicemails last month. The first message is directed to past group buyers, thanking them for their past support and directs them to call our softball sales team member back directly. The second voicemail is directed towards season ticket holders thanking them for their support last year and asks them to call 1-800 NITTANY to renew their seats for the spring. 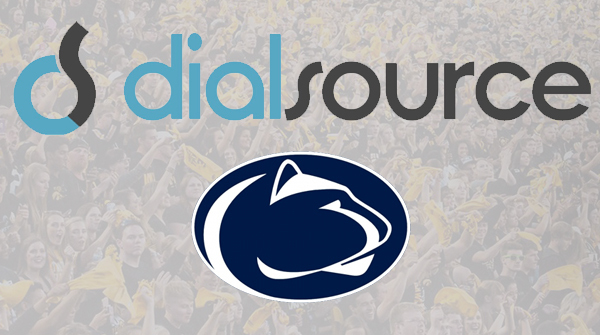 For those partners in the process of on-boarding DialSource I highly recommend engaging our coaches and student-athletes, especially as we shift gears towards football and next basketball seasons, to utilize these creative avenues to enhance fan relationships and revenue generation.